When Helen Hardman and Amy Stewart talk about their kids, they are not discussing their own but the youngsters they work with to make dreams come true. Both are key members of the University’s Access and Participation team and passionate believers in the transformative power of higher education. By helping pupils from schools with low rates of progression to prepare for university they are transforming the lives of not just individual applicants but all subsequent generations of their families. The work they and their colleagues at universities across the country do is vital if Scottish Government targets to increase the number of pupils from deprived areas going on to higher education are to be met. Helen is Dundee’s ACES Project Officer, while Amy heads up our Reach initiative. 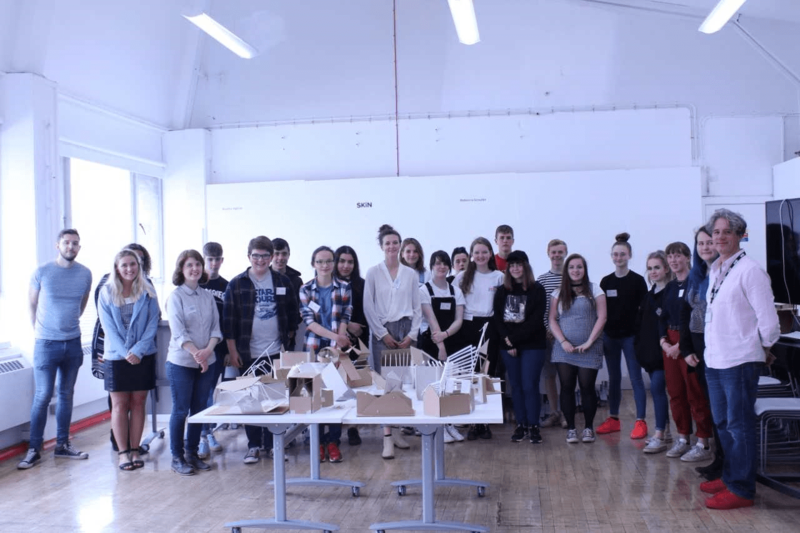 Both projects are funded by the Scottish Funding Council and see them encourage high school pupils to consider highly competitive subjects with additional entry steps, such as art, design and architecture (ACES) and medicine, dentistry and law (Reach). In practical terms, this sees them at present working with schools that fall below the national average for progression to higher education, currently standing at 38%. This means Reach engages with 17 schools across Tayside, and ACES 29 across Tayside and Fife. Arranging explore days, workshops and taster sessions are just part of what Amy and Helen do. Much of their work is focussed on supporting pupils as they prepare to apply for university through application and personal statement workshops, interview preparation, the UCAT tutoring (Reach) and digital and full portfolio preparation (ACES). 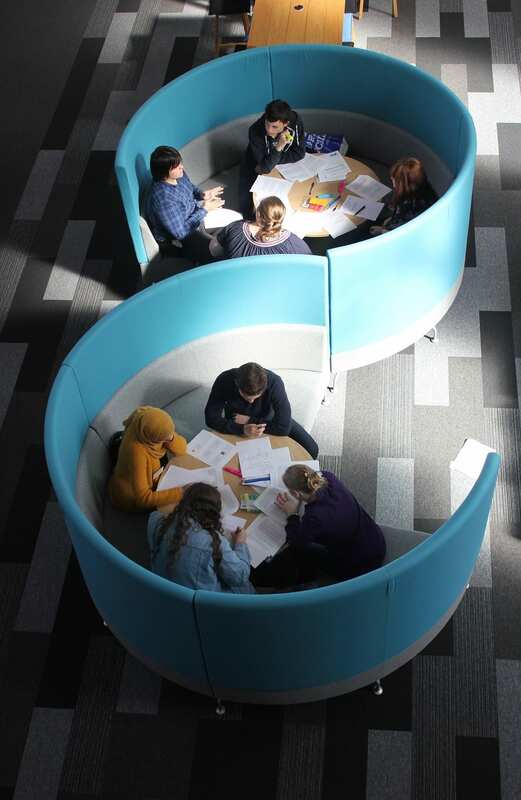 As well as providing practical assistance, they have also created a support network for pupils from schools where admission to university – and to study certain subjects in particular – is still all too often seen as an unattainable goal. Money makes the world go round, as they say, and a time of tight budgets has compounded the difficulties faced by pupils in school, according to Helen. “Budget cuts are a common story we’re hearing from all of our schools. One principal teacher of art and design told me that the budget she had to spend each year amounted to £1 per pupil at her school. That has to cover materials, paper, the cost of sending work away to be assessed, everything. 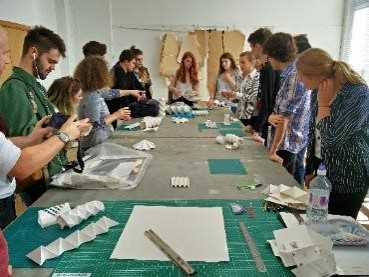 “There’s a huge amount of printing involved in creative subjects. You need to build a sketchbook so this all adds up. Restricted subject choice is also a barrier that Amy has to help pupils navigate through Reach. 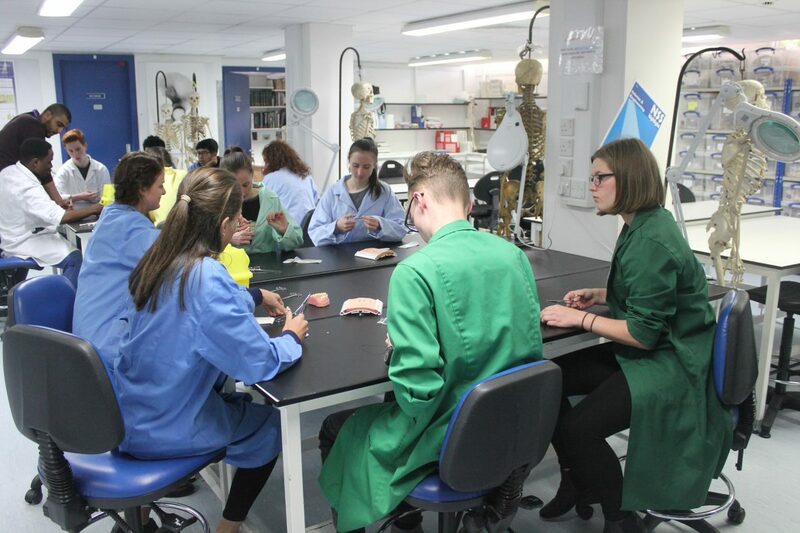 The University’s City Campus initiative offers pupils a wider range of subjects than might be on offer at their own schools, while they can also travel to other schools in the area for the same purpose. These opportunities do not come without their own challenges, however. “It’s great that pupils get to do these subjects but it does mean long journeys, maybe a two-hour round trip for an hour-long class in the middle of the school day. It’s an added pressure that those who go to schools with a full range of classes don’t face. In addition to the practical challenges faced by some pupils from low progression schools, a number of psychological barriers are placed in their way as well. Both Amy and Helen are clear about the importance of role models in helping pupils understand that university is for ‘people like us’ and in correcting misconceptions they hold about higher education and the professions it feeds. The simple act of inviting pupils on to campus can be equally important to breaking down walls, according to Amy. “It’s not in the programme that we should be building communities, but that is exactly what we do and it’s definitely an unwritten bonus for everyone,” added Helen. “Because we run these events all the time, pupils could be coming in two or three times a week at certain times of the year. They get to meet people from other schools interested in the same subject as them. In some schools they might be the only person to apply for that subject and also the first person to apply for that subject in a long time. It can be quite isolating to not have anyone who knows what they are going through. 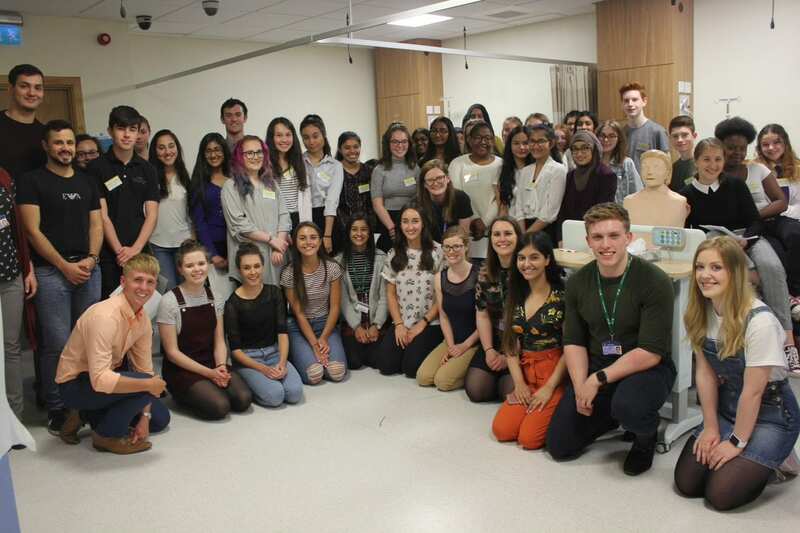 “The process of getting in to study art and design or medicine or dentistry can be so arduous that it can make all the difference when you connect with peers. Helen, herself an art graduate, knows first-hand the experience of art and design many pupils have at school can stop them pursuing the subject at university. As such, a large part of her job is showing pupils the freedom they will have to explore their creativity, as well as correcting misconceptions about their post-university prospects. 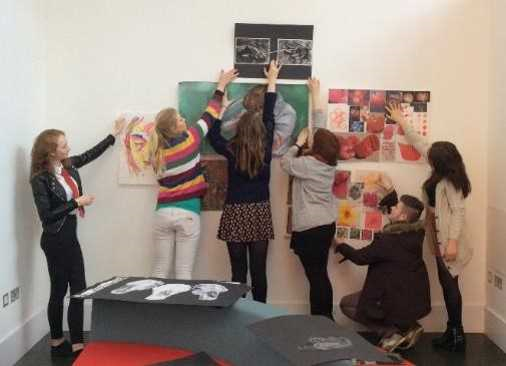 “Formal art qualifications can be very restrictive,” she said. “They are tricky to teach and when I was at school I nearly didn’t do an art degree because I was so frustrated at the hoops I had to jump through. There was work I had to do that wasn’t what I wanted to do, but it was what I had to do to get good grades. I think it can really put you off as a creative person so a big part of ACES is showing pupils that art at university is so much more free and creative than what you might study at school. Pupils who’ve been to our workshops always comment that they wouldn’t be allowed to do it this way at school. It’s something that we need to break down. 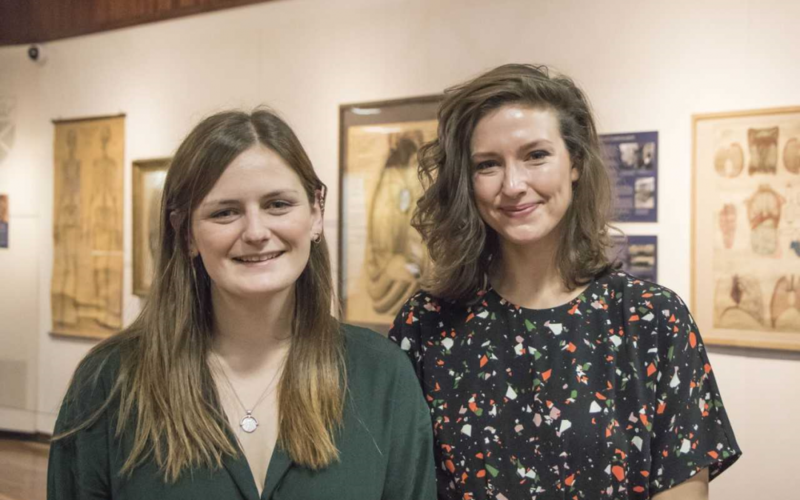 Both Amy and Helen are Dundee graduates and are inspired by their own experiences to make sure as many people as possible can benefit from the opportunities that university provides. “The confidence I gained from university and my personal growth can’t really be put into words,” said Amy. “University brought out so much in me that I didn’t have before I came here and I want others to have that. I didn’t grow up in adversity but neither of my parents went to university, so it was a new concept to the family when my siblings and I chose this route. In terms of the courses and professions I work with specifically, equality is hugely important. We need an NHS that reflects the people it is treating, and for our legal services to be equally diverse. “Confidence is a huge thing for the pupils we work with. Some don’t come from backgrounds where they are expected to go to university and it can be difficult for them to believe they belong there. Some of my pupils are quite introverted when they start out, despite doing really well at school. Being able to help people take what is a huge step for them is wonderful for us. In that sense, we’re not just preparing them for courses in terms of theory, but to leave school and have the best life they can.